Do you hear Google TV ? Google TV is not the new words for us but it is going become first choice of the viewers and listeners with in few months.Now the three largest television big bosses are Samsung, LG and Sony , but these big leaders of television are working on Google TV. It is noticed that LG has announced its Google TV move last week.Where Vizio is also on board and it will be expected new TVs packing Google TV at stores in just a few months.On the other hand Samsung will show their Google-powered Internet-surfing TVs at the International Consumer Electronics Show in Las Vegas this week for a glimpse of the future. When the journalist asked Mario Queiroz, vice president of Google TV about their new project "There are over 80,000 movie titles and TV episodes available through Google TV,We are trying to make it easier for the consumer to find content. "he added. Google TV allows people to surf the Internet on TVs, using its popular Chrome browser. In addition, it allows users to search a pay-TV provider's listings and offers about 150 apps to shuttle people to digital media.The worldwide market for Internet-connected TVs is forecast to soar from $68 billion in 2011 to $122 billion in 2016, according to industry tracker IMS Research.Brian Siegel, Sony TV vice president talks with journalist as Sony was the first with Google TV who has enabled sets in stores and launched with a keyboard in the shape of a game controller and it will be the hottest-selling TV.Tim Alessi, director of new product development at LG talks with news persons that " Google TV model from new entrant LG sports a controller that has a full keyboard on one side and a simplified remote on the other. "he added "With Google, we believe there's a segment of the audience that wants a little more interactive experience. "He also announced that LG's first Google TVs should be in stores by early March. The first releases of Google TV products were slammed for clunky navigation. 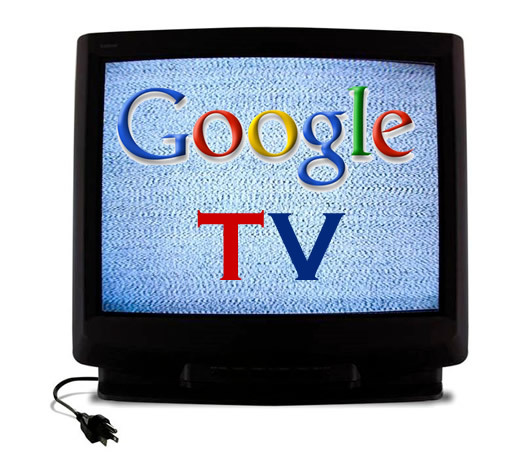 "Google first needs to redeem themselves from the flop that was Google TV," says IMS Research analyst Veronica Thayer. Since the navigation was improved, Google TV activation rates have more than doubled, according Google. TV navigation has been a big topic of discussion going into CES as reports swirl that Apple might soon be a player in TV sets. "Apple may have a very interesting approach if or when (its TV sets) come to the market," says Creative Strategies analyst Tim Bajarin. "If you marry Siri (Apple's voice assistant in the iPhone 4S) to a very large interactive database, it could improve the experience. "Alessi says LG is ready to do voice navigation but is just waiting for the software to be added by Google. Queiroz declined to comment on Google's voice navigation plans for Google TV. For now, TV makers "are on the right track to see where this will take us," Bajarin says.It is clear that Google TV is ready to reach your bed room by the help of Samsung, LG and Sony to surf internet from your television set.